Anne Aghion has been praised as a filmmaker of poetic vision, and a unique documentarian whose multiple award-winning films, in the words of one critic, “pull us deep into the social fabric” of the places she covers—be it on the hillsides of rural Rwanda after genocide, in scientific expeditions to the vast, silent ice fields of Antarctica, or in the paradoxical lushness of Nicaragua’s urban slums. Two brief quotes from reviews in The New York Times, which describe her as a “canny portraitist” in whose work “emotions remain crystal clear,” give a sense of Anne Aghion’s mission. At the heart of her films is a need to understand how people cope with extreme circumstances. Once drawn to a subject, she sets out to capture not the facts or figures, but the emotional landscape—the part of the story that speaks to anyone, anywhere. It is a form of filmmaking that values time, an absence of prejudgment or agenda and, above all, the patience to listen. Her films have resonated for an astonishing range of audiences across the globe, from government leaders to news junkies, adventure travelers to cinephiles, or to communities in war-torn nations from Cambodia to the Balkans. THE GACACA SERIES: Anne Aghion is best known for this collection of works she made for more than decade, filming the Gacaca (pr. ga-TCHA-tcha), a controversial experiment in justice and reconstruction created to deal with the aftermath of Rwanda’s 1994 genocide. There, she charted the emotional impact of a system in which open-air community courts tried genocide crimes and, in exchange for confessions, returned killers to their homes to live side-by-side with survivors. The Gacaca Series comprises a trilogy of one-hour films and a final feature-length companion. The one-hours are: “Gacaca, Living Together Again In Rwanda?” (2003); Emmy-winner “In Rwanda we say…The family that does not speak dies” (2005), and “The Notebooks of Memory” (2009). The 2009 feature, “My Neighbor My Killer,” is one of the rare documentaries honored with a spot in Official Selection at the Cannes Film Festival. As works of film, The Gacaca Series has won awards and international acclaim from film and television critics. But, because they hold a unique distinction as the first long-term look at a society after conflict, the Gacaca films also give important new insight into the lasting emotional effects of mass violence in any community—from American neighborhoods plagued by gang rivalries to countries emerging from conflict. Now in the collections of scores of university libraries, the films have been included in the curricula of courses ranging from trauma studies to human rights law. Their most moving impact has been in Rwanda, where they have been part of NGO staff training, screened for officials at the highest levels of government, and used to prepare tens of thousands of confessed genocide killers for being sent home after years in prison. Now, with the Gacaca tribunals officially ended in 2012, the films will continue to serve as the basis for community discussions around the country. ICE PEOPLE: In 2008, Anne Aghion released “Ice People,” a documentary feature that explores the physical, emotional and spiritual adventure of living and conducting science in Antarctica. Filmed “on the ice” over the course of four months, it was described by Variety as “staggeringly beautiful,” and praised in publications as diverse as the The New York Times, USA Today, ArtForum and EARTH Magazine. SE LE MOVIO EL PISO (THE EARTH MOVED UNDER HIM): A PORTRAIT OF MANAGUA: Anne Aghion’s award-winning 1996 directorial debut explored how slum dwellers in Managua, Nicaragua had survived the double ravages of political and natural disasters. Its recognition by the Havana Film Festival as the Best Latin American Film by a Non Latin American was the first indication of what would become Anne Aghion’s signature ability to listen to her subjects without judgment or agenda, and to evoke interviews of startling intimacy. Anne Aghion is now in early stages of development on two film projects—one that will take her to the Indian subcontinent, and the other, drawing from her experiences in Rwanda, will focus on vicarious trauma. She is also developing an interactive multi-media art installation that evolved from her work filming “Ice People” in Antarctica and New Zealand. Anne Aghion splits her time between New York and Paris. She holds a degree in Arab Language and Literature from Barnard College at Columbia University in New York. Before making films, she spent close to a decade at The New York Times, and then at the International Herald Tribune, in Paris. Her move into film and television began when she became Production Manager for “The Hole in the Sea,” a short documentary for Franco-German broadcaster ARTE, by the legendary documentarian Richard Leacock, with Valérie Lalonde. In subsequent years, she worked as a production and post-production manager on documentary and magazine programs for ARTE, the French premium network CANAL+, and as a location videographer, creating short weekly features for the highly-rated talk and entertainment program “Nulle Part Ailleurs,” also on CANAL+. 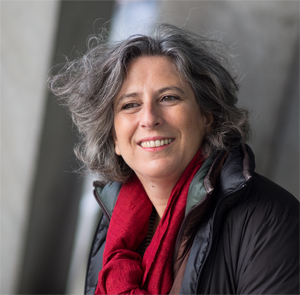 Before finally delving into independent filmmaking in 1999, Anne Aghion worked as Production Manager, Director of Production Development and Consultant for Pixibox Studios, the largest 2-D digital animation studio in Europe, with operations in France, Poland and Asia. 2012 | Rockefeller Foundation Arts & Literary Arts Residency, Bellagio, Italy. 2011 | MacDowell Colony, Elodie Osborne Fellowship, Peterborough, US. 2009 | The Nestor Almendros Award for Courage in Filmmaking, Human Rights Watch International Film Festival. 2005 | John Simon Guggenheim Memorial Foundation Fellowship. “Gacaca, la dynamique des images”, in Revue d’histoire de la Shoah, Ed. Georges Bensoussan. Journal published by the Memorial de la Shoah, Paris, Issue No. 195, pp. 295-307. July-December 2011. “Mon Voisin mon tueur,” in XXI (Vingt et Un), a French news and culture quarterly, illustrated by Sergio Aquindo. No. 6, pp. 130-141. Spring 2009. Genocide Lives in Us – Women, Memory, and Silence in Rwanda.Jennie E. Burnet. The University of Wisconsin Press, 2012. “Are You a Vulture? Reflecting on the ethics and aesthetics of atrocity coverage and its aftermath,” by Pratap Rughani. Chapter 5 of Peace Journalism, War and Conflict Resolution. Eds. Richard Lance Keeble, John Tulloch, Florian Zollmann. Published by Peter Lang Publishing, 2010. “Localizing Transitional Justice, Interventions and Priorities after Mass Violence,” Eds. Rosalind Shaw and Lars Waldorf, with Pierre Hazan. Stanford University Press, 2010. “Traditional Justice as Transitional Justice: A Comparative Case Study of Rwanda and East Timor,” by Amy Senier, in PRAXIS: The Fletcher Journal of Human Security, Vol. XXIII, 2008. “The Book of Calamities, Five Questions about Suffering and its Meaning,” by Peter Trachtenberg. Little, Brown & Company, 2008. “Rwanda’s Failing Experiment in Restorative Justice,” by Lars Waldorf, in The Handbook of Restorative Justice: A Global Perspective. Eds. Dennis Sullivan and Larry Tifft. Psychology Press, 2007.